Do you a have a favorite company that supplies kratom? Different individuals surely have different preferences or choices. However, the kratom company might be a significant factor in determining if the kratom you are going to purchase is of high quality. Today, you are going to know more about the OPMs kratom silver Maeng Da strain. Before you move on to the review, you need to know that OPMs is a kratom company that has been selling kratom products for quite a long time. Therefore, OPMs has made an excellent expectation for producing and selling high-quality kratom products. 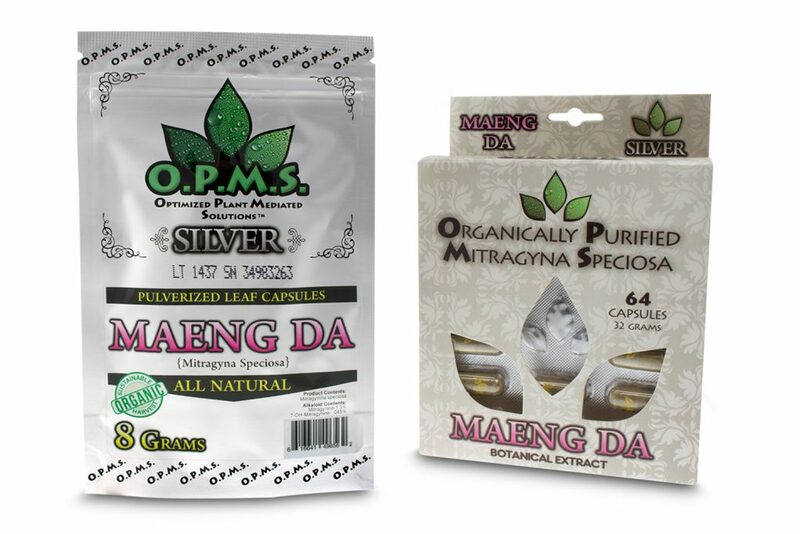 The OPMs kratom silver Maeng Da is one of their unique and superior strains. What Are the Properties of OPMs Kratom Silver? This strain is available in different forms like in an alcohol dissolved product or capsule. The company made sure that the manufacturing process can extract alkaloids amounting to more than three-quarters from the kratom plant. A capsule of OPMs kratom silver is sold at around $7 to $8 while regular kratom is sold at around $2 to $5. It is quite expensive because it has undergone a unique method of extraction. If you are curious about the capsules’ effectiveness, then you should try it out to know that they are effective. However, the kratom dosage could still play a vital role in the capsules’ effectiveness. If you are only a beginner with kratom, then it is better if you try it out in the lowest dosage possible. If you take five capsules of this strain, you will experience a mild feeling of euphoria. If you use nine of these capsules, you will feel its sedating effects. And if you drink 13 of these capsules, it will give you an intense sedating effect. But remember that you can only take more than ten capsules if you have gotten used to the effects or is familiar with the OPMS kratom silver strain. What Are the Different Types of OPMs Kratom Silver? The OPMs kratom silver has three different types, which are the OPMs kratom silver Thai, the OPMs silver Maeng Da, and the OPMs silver Malay. OPMs silver Thai can improve your memory and boost your energy. It can also enhance your mood, which makes it perfect for people who have depression. It can make your mind relax, and you can use it as an alternative to coffee. OPMs silver Maeng Da is quite a favorite strain due to the ancient method that was used to develop it, which is called grafting. Unlike other kratom strains, it has a higher alkaloid level content. It can improve you cognitively, prevent you from experiencing fatigue, and can induce euphoric feelings as well. OPMs silver Malay is the strain that is perfect for beginners, and its effects can last to up to 8 hours. It is a potent painkiller and is suitable for people who are experiencing anxiety and insomnia. This strain is known to have anti-diarrhea properties and give you enough energy to fulfill your daily duties. What Are the Effects or Benefits of the OPMs Silver Maeng Da? This portion of the article will give an in-depth analysis of this particular strain as this article is a review of the silver Maeng Da strain by OPMs. As you already know the Maeng Da strain is genetically engineered and came from the Thai kratom tree. It has higher alkaloid content and contains more mitraphylline active compounds, 7-hydroxymitragynine, and mitragynine compared to other strains. Some kratom users notice that this strain is significantly stronger than other strains, but some do not see any difference at all. If you use this strain in small doses, you will feel its stimulating effect, and you’ll feel more vigilant, alert, and awake. A lot of individuals who have used this strain claimed that it helped them improve their concentration and attention. Moreover, this strain can increase your productivity. If you use this, you will experience less fatigue when you are studying, working, or doing any other mental draining activities. 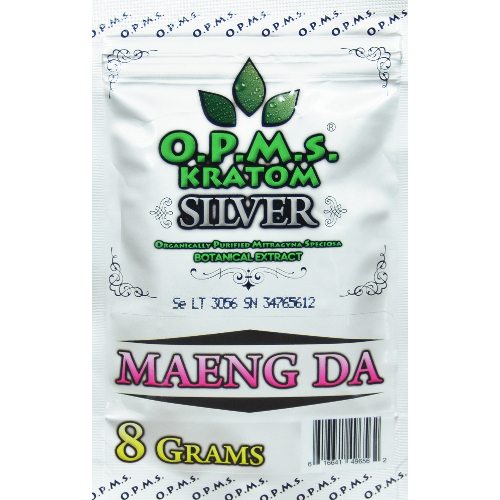 OPMs kratom silver Maeng Da is a beneficial type of kratom that is produced using cold water and high pressure. It’s a favorite among kratom users and has many positive reviews online.